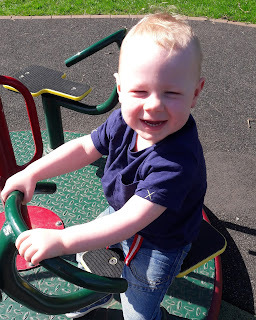 It's no surprise that Blake's favourite place to be is outside and in particular the park. Going to the park isn't just all about having fun its also great for children's development. Blake learnt to climb at the park and its also a great for children to confront danger and interact with other children around them. Blake is starting pre-school in September and one of the things I looked out for when visiting the pre-school was a well-maintained school playground and other outdoor play areas. Soft surfaces over time can wear away due to constant use and so both schools and park areas need to be kept in good condition to prevent accidents. Many parks/playgrounds have bright and colourful soft surfaces which makes it more fun for children as they are very visual. Take Blake's pre-school for example, in the main area that the children play in they have faux grass which I love as it looks very attractive. I know that Blake is going to be in a safe environment when using equipment such as slides, bikes and scooters. Not only is it important for the soft surfaces to be checked but also other equipment that children will come into contact with too. Its important to check parks when you are with your child/ren and report any damage to surfaces and equipment. 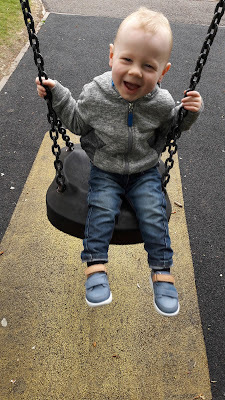 We have many parks nearby where we live including a splash park which Blake loves. Splash parks are gaining in popularity and so soft surfaces are important especially as there is a higher chance of slipping over. Our local splash park was recently closed for maintenance which made me feel that they saw the splash park as an important area for families as its so popular. Does your child love being outdoors? Are your local play areas/ playgrounds up to scratch? Despite soft surfaces my youngest still managed to fall and crack her head open.